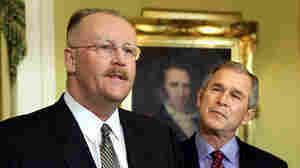 Joe Allbaugh, left, speaks to the press in Austin, Texas, in this Jan. 4, 2001, photo after being named as director of the Federal Emergency Management Agency by then President-elect George W. Bush. October 24, 2011  Texas Gov. Rick Perry's struggling campaign turns to tried-and-true Republican operatives to shore up its efforts as weeks tick down to primary season. One is a veteran of disaster management. August 26, 2011  Texas Gov. 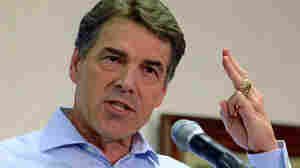 and presidential candidate Rick Perry is passionate on one point about health care. Fixing the nation's health care system must include a major reform of the medical malpractice system. March 2, 2011  The 2012 presidential season is starting to ramp up. If you don't believe me, consider this: Both The Daily Show and Fox News say that it has — and that potential candidates should make up their minds. IS NPR IGNORING RON PAUL?